Quick and easy access to Title Resources app Agency’s closing cost calculators which include, Buyer Cost Estimates, Seller Net Sheets, Title Resources app Premium Rates and Mortgage Payments. 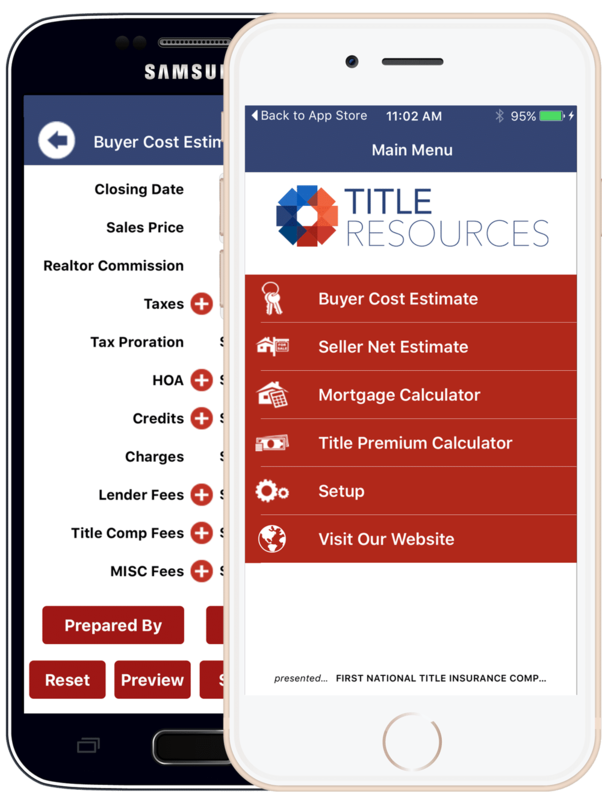 The Title Resources app comes preloaded with closing cost calculations with the real estate professional in mind, allowing them to quickly generate calculations from their phone and/or tablet on the go. It also allows the user to email/save/print calculations for later reference and to share with clients.